Around 1,400 migrants were on Saturday rescued in the Mediterranean, as thousands of people continue to risk the dangerous crossing despite the arrival of winter. 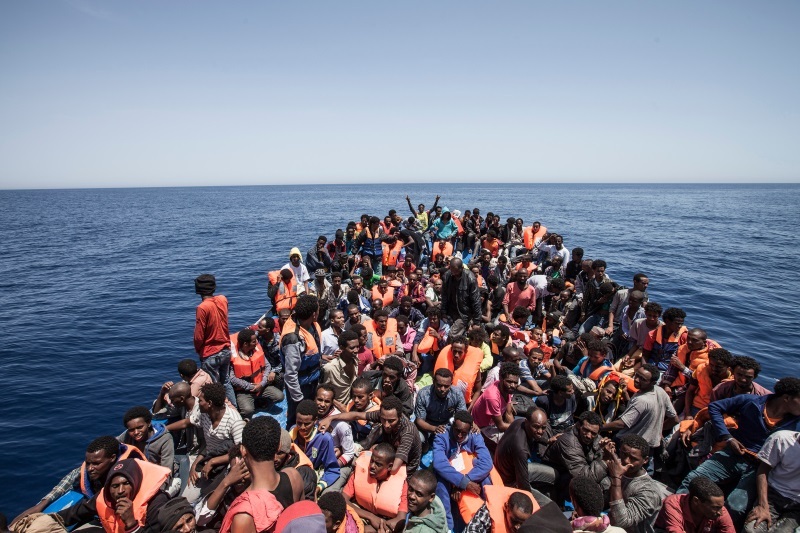 The migrants were onboard seven different vessels including six rubber dinghies, said the Italian coastguard, which coordinated the rescue operations. One of the boats, whose passengers were rescued by a ship operated by the charity Doctors Without Borders (MSF), was crammed with 800 people including nearly two dozen children, the aid group said. The charities SOS Mediterranee, Migrant Offshore Aid Station and Jugend Rettet also took part in the rescues. Since the start of November — when attempts to cross the Mediterranean tend to drop as the winter chill sets in — nearly 5,400 migrants have landed in Italy, hoping to start new lives in Europe. This compares to slightly over 3,200 for the whole of November last year. More than 4,000 men, women and children have died in the Mediterranean this year, according to international organisations, as Europe continues to struggle with its worst migration crisis since World War II. Sub-Saharan Africans have made up many of those attempting to reach Italy from Libya in recent months.